A late post as it’s once again been a very long, productive day. 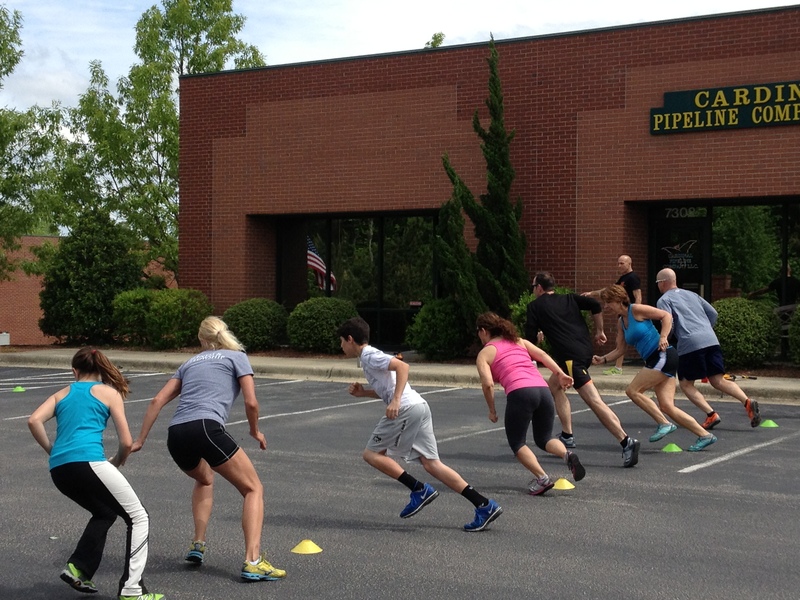 Today was “Burpee Hell” at CFS. I was pleased that so many athletes challenged themselves. Burpee slam balls, burpee wall balls, burpee box jumps, burpee pull-ups, burpee toes to bar, the list goes on and on. It’s no secret that I love burpees. Expect to see even more variations, Surmounties. I led a Running Clinic from 1 to 4, and it was very well attended. The time seems to fly whenever I coach, and 3 hours felt like 30 minutes! Griffin won Death by 10m. I didn’t get to work out until after 4, and that’s quite unusual for me. I have noticed, however, that I am much more flexible since I’ve begun coaching full-time, as I stretch and cool down with each session. Ah, yet another benefit of owning my own business. I pressed 90, 100, and 110#, and all of the lifts felt great! I recorded and reviewed. Even as I was pressing 110# I can be heard saying, “Well, that was a lot easier than I thought it was going to be.” Ha! I don’t even realize that I’m talking out loud until I review the recording. My goals were to complete all back squats unbroken, as the weight was relatively light, and to successfully complete all muscle ups, i.e., no failed reps. Done and done. Regardless of the weight, 21 fast and furious back squats begin to feel heavy. And I do mean fast. For all the rounds I completed back squats as quickly as I possibly could, still executing proper form. Burpee muscle ups are a challenge in that you have to ensure that you immediately grasp rings in a false grip. Talk about accuracy! I learned a long time ago to still the rings before completing the burpee muscle up. 1200m run, 63 back squats, & 21 burpee muscle ups in 13:47.